Will McConnell succeed in passing ACA repeal bill? This week promises to one of the most turbulent, consequential weeks in U.S. healthcare history, as Senate Majority Leader Mitch McConnell tries to quickly pass a far-reaching bill, unveiled only last Thursday, to restructure and cut Medicaid and reshape the individual health insurance market. The Better Care Reconciliation Act of 2017, along with its House-passed cousin, the American Health Care Act, faces intense opposition from Democrats; provider, public health and consumer advocacy groups; and safety-net health plans. 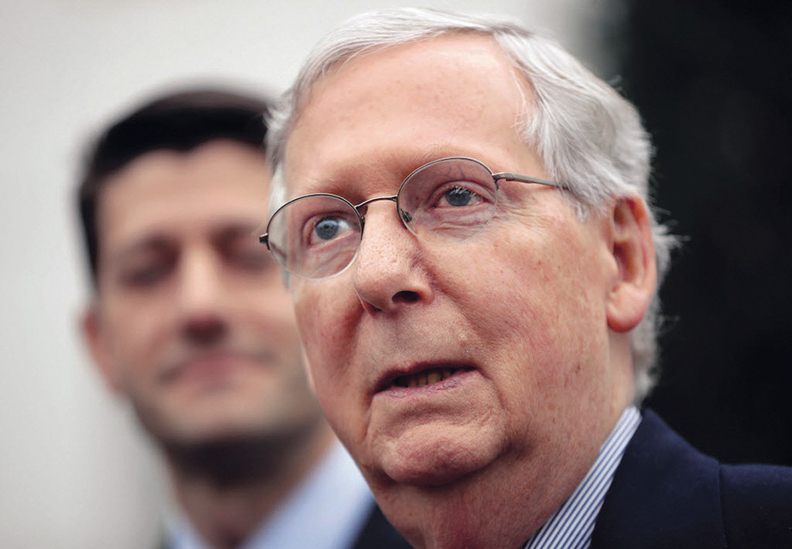 It also has elicited skepticism from both conservative and moderate Senate Republicans, whose votes McConnell needs to pass the bill with a bare majority under budget reconciliation rules. As soon as today, Congressional Budget Office may offer its assessment of the bill's coverage and cost impact. That will weigh heavily on whether and how McConnell has to revise his measure to repeal and replace the Affordable Care Act. If it doesn't match the 10-year deficit reduction in the House bill, he may have to dial back its coverage provisions or restore some ACA taxes slated for rapid oblivion. If the CBO projects coverage losses anywhere close to the 23 million figure it estimated for the House bill, GOP moderates such as Susan Collins of Maine, Jeff Flake of Arizona, Dean Heller of Nevada, and Rob Portman of Ohio may run for cover. And if the budget umpire says it would drive up premiums and out-of-pocket costs, it could spook conservatives such as Mike Lee of Utah and Rand Paul of Kentucky. Before the vote takes place late this week, Senate parliamentarian Elizabeth MacDonough could rule that provisions important to conservatives, such as defunding Planned Parenthood and barring use of premium tax credits to buy plans covering abortion, aren't allowed under budget reconciliation rules. That could blow up McConnell's fragile coalition. "This is going to be one of the toughest strongarm votes we've seen in Washington in a long time," said Lawrence Jacobs, a veteran health policy observer at University of Minnesota. "It's not high principle. It's raw power."